A senior TEPCO official contradicted Prime Minister Shinzo Abe by saying the radioactive water leakage at the crippled Fukushima plant is not under control. The official, Kazuhiko Yamashita, was asked his opinion of comments by Abe regarding the Fukushima Dai-ichi Nuclear Plant to the International Olympic Committee (IOC) in Buenos Aries last Saturday. "I think the current situation is that it is not under control," Yamashita said at a hearing in Koriyama City, Fukushima Prefecture, on Friday before further apologizing for the leaks. In reaction to Yamashita’s comments, Democratic Party of Japan Secretary-General Akihiro Ohata told reporters the prime minister should fully explain what led him to his pronouncement last week. Following Yamashita’s comments, however, TEPCO released a statement clarifying Abe’s position. TEPCO moved to downplay Yamashita’s comments. “Today, the media have reported that a TEPCO employee mentioned his view regarding the contaminated water issue that ‘the situation is not under control,’” the company said in a statement. 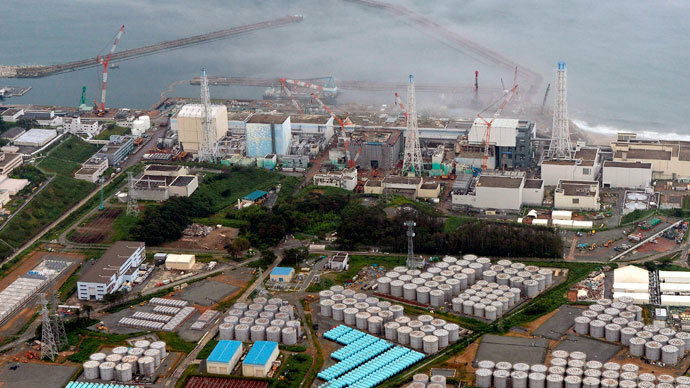 The statement continued that after examining land and sea radioactive density, the contaminated water was only affecting the inner area of the harbor, while no radioactive cesium had been detected in many spots checked beyond the port. 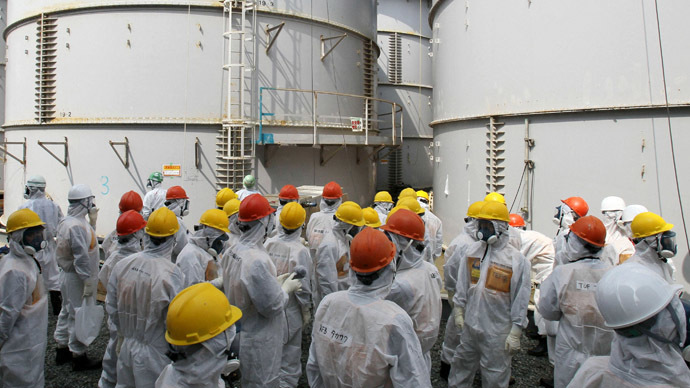 The statement continued that “the TEPCO employee” was fully aware of the situation and had “intended to mention” that contaminated water had in fact leaked into the inner port area, and that water had leaked from the storage tanks. “In case we have such troubles, we will take appropriate measures so that there is no negative impact to the outer sea,” the statement continued. Abe, in a bid to reassure the IOC before Tokyo was picked as host of the 2020 Games, said that the radioactive water has been “completely blocked” within a 0.3-square-kilometer area in the harbor of the Fukushima No. 1 plant. He continued that Japan would never allow contaminated water to threaten the capital. 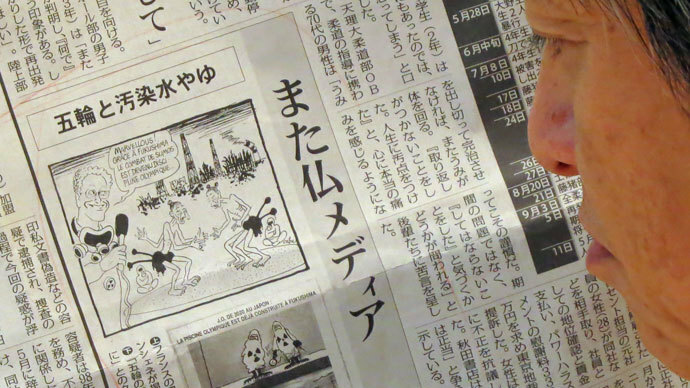 Compounding Fukushima’s growing troubles, steam was seen rising from a puddle perched atop the reactor on Friday. The appearance of the vapor, which TEPCO believes is emanating from an accumulation of rain water, has been arising intermittently since July. Scientists remain unsure why the steam continues to appear. Meanwhile, a former US nuclear regular said that cleaning up Fukushima was a bigger challenge than efforts to tackle the Three Mile Island disaster and the issue of radioactive water leaks was a minor part of the overall task, AP reports. Lake Barrett, who was appointed as an outside adviser for the decommissioning process by TEPCO, had led the Three Mile Island accident cleanup for nearly a decade as part of the Nuclear Regulatory Commission. He said that the meltdowns in three of the reactors, massive radiation leaks and the volume of contaminated water at the Fukushima Dai-ichi plant made the cleanup process far more complicated. “In comparison to Three Mile Island, Fukushima is much more challenging, much more complex a job,'' Barrett told a Tokyo news conference on Friday. The 1979 partial nuclear meltdown at Three Mile Island in Dauphin County, Pennsylvania, involved one reactor. The radioactivity was solely contained in one building, where 8,000 tons of contaminated water was trapped. Barrett argues work should commence to pump groundwater from the plant before it reaches wrecked reactors - a move that has been resisted by local opposition. "They should start pumping as soon as practical," said Barrett, adding that groundwater would have to be released into the ocean along with water that had been treated to remove most radiation - by a system designed by Toshiba Corp, Reuters reports. "I believe in a matter of a few months ... early next year ... water will be cleaned up and be ready to be discharged," he continued. Although Barrett admitted he would feed his grandchildren fish caught off the Fukushima coast if the clean-up proceeds as planned, he understood that TEPCO had lost credibility and was thus unable to reassure the public. 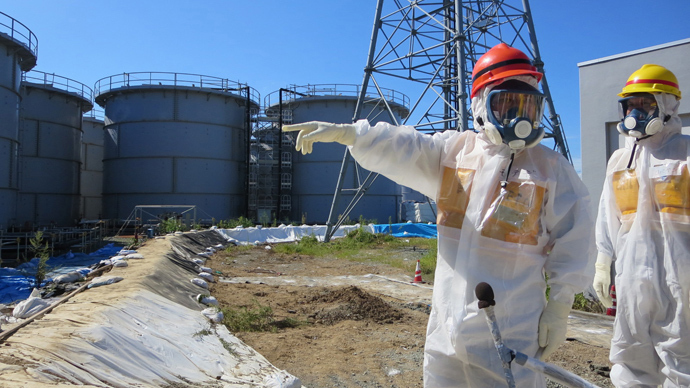 "When Tepco says: 'Trust me, this water is safe,' that's not enough," he said. 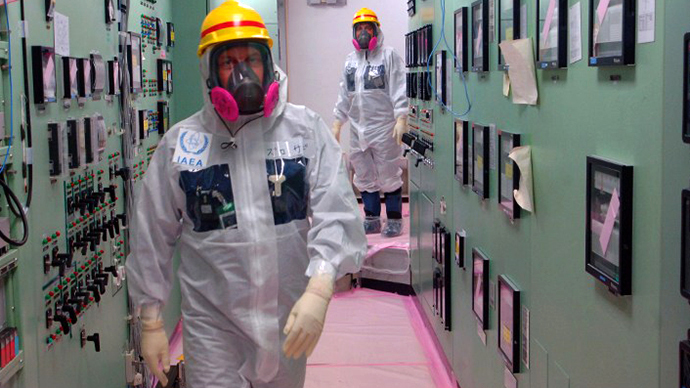 Barrett’s arrival followed an admission last month that TEPCO needed international help to contain the radioactive fallout after efforts to deal with it internally were unsuccessful. TEPCO on Thursday was further forced to acknowledge that samples of underground water taken near a tank where a major leak occurred last month showed high levels of radioactive tritium, a radioactive isotope of hydrogen. Tritium, which has a half-life of a little over 12 years, is less harmful to humans than cesium and strontium. The plant operator said tritium levels in water taken from a well close to a number of storage tanks holding irradiated water rose to 97,000 becquerels per liter on Wednesday, up from 64,000 becquerels/liter measured at the same location a day earlier, Reuters reports. More than two and a half years since the 2011 disaster, which was sparked by a massive earthquake and tsunami, TEPCO is struggling to pump out, treat and store massive amounts of contaminated water that is increasing at a rate of 400 metric tons a day.